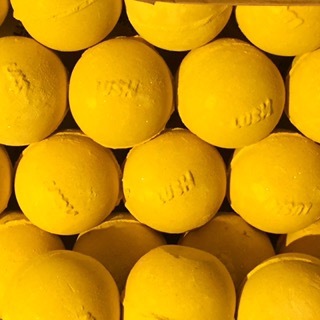 The Golden Slumbers Bath Bomb is an Oxford Street exclusive making it almost impossible to get hold of unless you visit or live in London, UK. It is however currently available on the Lush UK website, under the Lush Kitchen tab. I’m not sure if it will be available this way permanently but for the foreseeable future they have said that it is… I’m ridiculously happy by this as this means that everyone, everywhere can try it now. My first Golden Slumbers was from the Lush Oxford Street store back when it first opened its doors in 2015. I particularly like the Golden Slumbers scent as it really does smell of fresh, in the wild lavender. Its scent is one of the most relaxing fragrances Lush have to offer, it is packed with not only lavender oil but chamomile and neroli oil too. When I was little we had lavender in our front garden, every morning before school my nan would always pick the smallest amount and rub it in her hands ‘to make her smell nice’. To this day, the scent of fresh lavender still takes me right back to being 5 years old again, being driven to school in my Nan’s ‘kangaroo petrol’ car. Boinging about like there was speed bumps the whole way there. As soon as the Golden Slumbers bath bomb hits the water an eruption of sparkly gold foam bursts out of it. I wish I could take a good quality photo of how beautiful the water looks, you really have to see it for yourself. When I very first used the bath bomb I was surprised to see that the bath bomb was a sparkly gold all the way through. Normally the shimmery Lush products only have a thin coating of lustre. The photograph below does the bath bomb no justice at all, there is just something so enchanting about the shimmery water that some Lush bath bombs create. Similar products shimmer-wise are the Frozen, Yoga and Intergalactic bath bomb, although each of them have more colour on offer. The Golden Slumbers bath bomb is strictly gold lustre. It doesn’t create pretty patterns but the golden, sparkly water well makes up for the absence of multicoloured bath art. After all, sometimes less is more. As far as bath bombs go I’d class Golden Slumbers bath bomb a very messy one. By messy I mean that it is probably the most lustre filled bath bomb I have ever used. I know that some people just can’t get their head around the products with lustre in therefore Golden Slumbers isn’t for everyone. 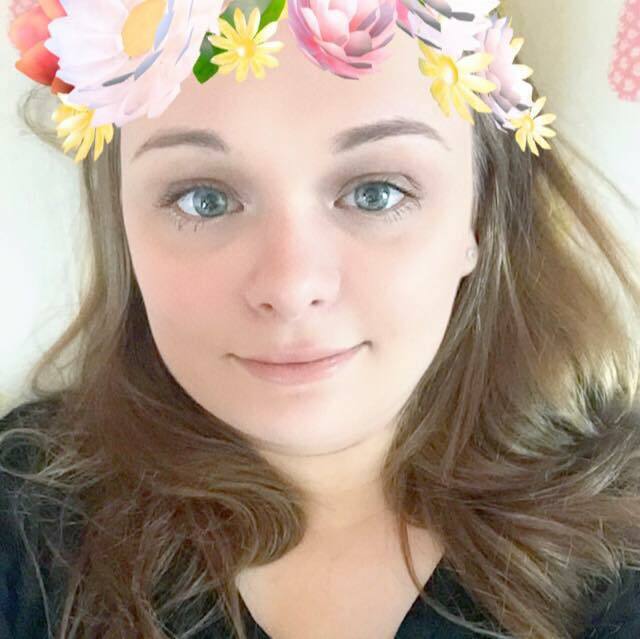 The lustre that Lush use is however very safe, it is the same shimmer you get in naturally based makeup such as highlighters. I was once completely horrified by the thought of bathing in glitter too, now I have however used it, (by complete accident in the Twilight bath bomb might I add) I just want to kick myself for not doing it sooner. It’s such a pretty and strangely fulfilling experience. Using the shimmery Lush products also doesn’t equate to any environmental damage as all of it is made out of natural ingredients. You can read more about it in this article published on the Lush website; All That Glitters. Another important point that I would like to bring up before closing off this review is the other side to it being ‘messy’. I have used it at home several times before and cleaning it afterwards was just the same as cleaning up after an ordinary bath. In my opinion no extra effort is required for any Lush bath bomb and I’ve been using them for years too. I do however take special precautions. I find that the colour from bath bombs only ever cling to leftover soap scum and dead skin left in your tub from previous bath times. This is why some bath tubs appear stained after a bath bomb. It’s simply just the leftover soap scum soaking up the colour. I am a huge germaphobe and I always make sure my bath is spotless before I get in and once I get out too. The cleaner you leave your bathtub the easier it is to keep it clean, even when using bath bombs. For anyone that has some gunky bits that have been coloured, a small drop of fairy liquid followed by a quick whizz around with a sponge should get rid of it, you should already be rinsing out your bathtub after every use because of the gunk and dead skin cells anyway. I do however know some people don’t. Again, it’s all down to personal preference, I however keep my bathtub clean and because of this I haven’t had any bath bomb ‘staining’ problems at all. 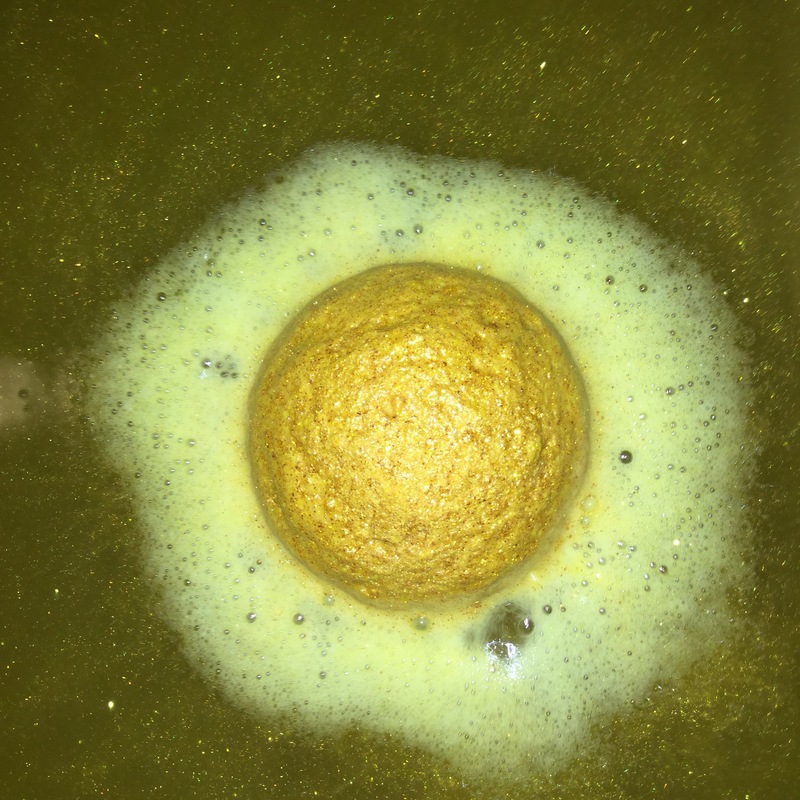 Over all I love the Golden Slumbers bath bomb but advise everyone to use it only in a super clean bath because it is one that will cling to any old residue left in the tub. This is a bit of a nuisance but easily avoidable if you keep it clean beforehand.